Possibly the most commented-on thing I’ve ever written online came about when I said that I didn’t really want to read Sheryl Sandberg’s Lean In: Women, Work, and the Will to Lead, a bestseller in which the Facebook COO encourages young women to take charge of their careers and aim for the top. Even though Sandberg is really just writing for women on the corporate track, her book has been read and discussed by people in plenty of other fields, including academia. Some of the people who wrote to me (on Facebook, this blog, Twitter, and via email) argued that I needed to give Lean In a chance. Others agreed with my assessment, based on reading plenty of reviews and critiques on the various feminist websites that I frequent, that Sandberg’s message is both tone-deaf and narrow, ignoring the 99% of working women (specifically mothers) who need concrete policy changes, not corporate jargon, to push their careers forward. 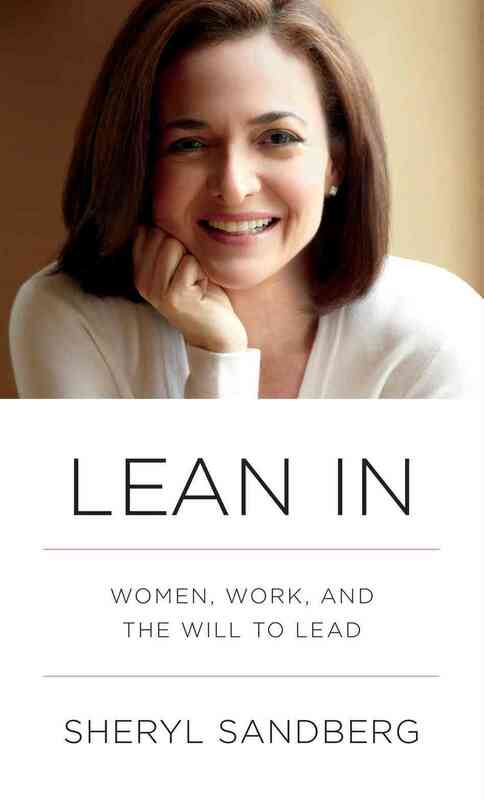 Well, I have now read Lean In—twice!—and my short response is, “Okay … I guess?” On the one hand, I actually don’t object to Sandberg’s main points: I would like to see many women have more confidence in themselves, work to assume leadership positions, and insist on policies that would enable them to better balance work and family in whatever combination they would like. I am tired of teaching female students who raise their hands and begin answering a question with, “I don’t know if this is right, but …”, thus discounting their thoughts before they even express them. I get irate when I look at the VIDA statistics for some of the most prominent publications in the United States and see how few women write for them. I agree with Sandberg’s basic premise: American women have come a long way, but we’re still not rising to the top of business, government, academia, or the world of cultural production. We should find ways to change that. It’s in her suggested solutions that I think Sandberg shows how divorced from most women’s reality she is, and how few real obstacles she’s faced. A graduate of Harvard and Harvard Business School, she was basically hand-picked as a college junior by Larry Summers (Harvard professor, former Secretary of the Treasury, and former Harvard president) as one of his proteges. Sandberg might have had difficulty finding a job after she left Summers’s Treasury Department, as she writes in the book, but the job she eventually landed was as a VP at Google. In Lean In’s acknowledgements section, she thanks, in turn, Gloria Steinem, Arianna Huffington, and Oprah Winfrey—good people to have on your side when writing a “sort of” feminist manifesto, as she describes it. Sandberg has, by all appearances at least, led a charmed professional life, and I think it’s for that reason that her suggestions for how to lean in to one’s career are soundbites without substance. To put it another way, experiences that might have been somewhat tough for Sandberg to weather would probably be nearly impossible for a woman without her financial and personal resources. And here’s the thing: I live in a country where I think the message of Lean In could be useful. Women in China opt out all the time, and are often encouraged to do so by their elders and superiors. I’ve gone to two academic conferences in Shanghai, and both times was shocked to see how few women were in attendance (though, no lines at the ladies’ room during coffee breaks!). No woman has ever served at the highest level of the Chinese government, the Politburo Standing Committee. It’s common for an employer to hire a man and ignore female applicants because “they’ll just get pregnant soon anyway.” Women seeking civil service jobs have to undergo a gynecological exam. Some university departments simply don’t admit women to study what are considered “men’s fields.” Ads for jobs like waitress and receptionist frequently specify an age range and height requirement for women seeking to be hired. There are women protesting these types of policies, and Didi Kirsten Tatlow of the New York Times has done a number of stories on Chinese feminists, including some who formed “Lean In Circles” at Beijing universities after reading Sandberg’s book. But on the whole, Chinese women who seek to effect change are fighting deep cultural values and government policies that expect women to step aside and prioritize the men in their lives. Whatever gains in gender equality were made during the days of Mao have been walked back, and for most women, even highly educated ones, the most important milestone to reach is still marriage. I have observed this firsthand many times over the past nine years, but I still learned a few new things reading Leta Hong Fincher’s Leftover Women: The Resurgence of Gender Inequality in China, which I deliberately picked up immediately after finishing Lean In because I had a feeling the two books would pair well together. Fincher looks at the same type of women who are Sheryl Sandberg’s primary audience: educated, urban, moderately wealthy—those who would be expected to have good careers and promising futures. Instead, Fincher finds that many of the young women she interviewed (both in person and via her Weibo microblog) have made sacrifices—personal, financial, professional—because they would rather opt out than go unmarried and risk becoming “leftover women” (those who are still single after the age of 27). Her particular focus is on the question of real estate, which is a major issue for Chinese couples: an apartment represents the largest single investment most will ever make, and in cities like Shanghai and Beijing has the potential to appreciate in value by an almost unbelievable amount. But many women choose to leave their names off the property deeds regardless of how much they contributed to the apartment’s purchase, giving the husband full control over the home and making it almost impossible for the woman to recover her investment in the apartment in the event of divorce, as a 2011 divorce law divides marital property according to the owner of record, rather than a 50/50 split. When Fincher asked why her interviewees would allow their apartments to be solely in their husbands’ names, many answered with some variation of, “It would make him feel like less of a man to have joint ownership of the home.” And the women would rather be married than insist on equal ownership of their real estate. This fear of going unmarried is certainly not unique to China, but it has been fanned by a government campaign disparaging those “leftover women” who have pursued advanced degrees and professional success but neglected to snag a husband along the way. In a country where the One-Child Policy has resulted in a much greater number of men than women, the government worries that a large population of unmarried men could prove restive. Seeing successful, “high-quality” women (eugenics still holds sway in China) remain single does not please the government. Although I agree with Fincher that the government and its All-China Women’s Federation have targeted leftover women in their propaganda, I don’t think we can solely attribute state pressure to most women’s desire for marriage or their willingness to forgo an equal share of their marital property. 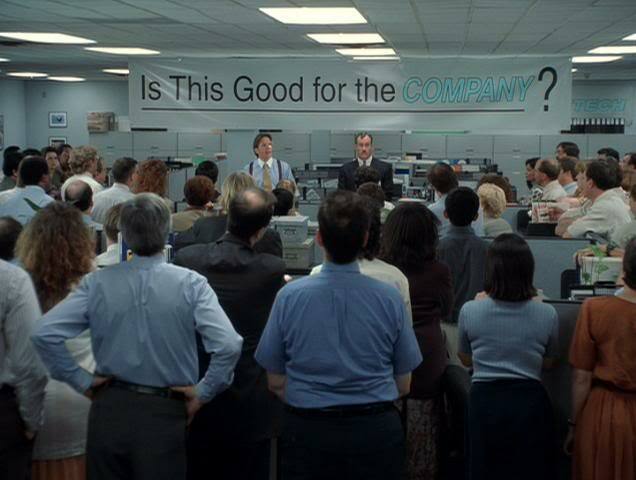 I’m sure the campaign has played a role. But even before it began in 2007, I heard plenty of my female Chinese classmates in Nanjing express anxiety about the need to marry as soon as we completed our MA program. When I first came here in 2005, I was shocked to be asked the question “Ni jiehun le ma?” (Are you married?) several times a week, but my interrogators seemed more surprised to hear 22-year-old me respond that no, I was not, and many advised me to get on that right away. Now, at 31, most people don’t even bother asking me if I’m married; rather, their first question is where my husband is, as they simply assume that I have one. I don’t think this societal expectation that all women should and will marry has grown out of a government propaganda campaign. Reading Lean In and Leftover Women back-to-back was an interesting exercise, and I found both books valuable in different ways. Both are a call to action—Sandberg’s more directly, Fincher’s in a more detached academic manner—asking women to consider what they really want and how to go about getting it. 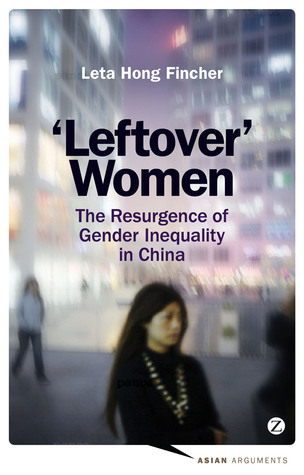 I’d like to see more American women read Leftover Women, to understand the challenges that their counterparts in China face, and I’d recommend that more Chinese women pick up Lean In and consider the need for a more activist feminist community here. I knew from the start that I would read Leftover Women almost as soon as it came out, and Fincher did not disappoint, as she mines her interviews to put a very human angle on a large-scale social phenomenon. It took me much longer to open up Lean In—I basically had to be talked into it—and while I don’t think I’ll go back for a third round of Sandberg’s motivational-speaking writing style, I am glad I took the time to read it and really think about her message. In the end, I hope that readers heed her suggestion to keep talking about the issues she’s raised—not in Sandberg-branded “Lean In Circles,” but with friends, relatives, colleagues, mentors, and others who share an interest in seeing women everywhere achieve the personal and professional lives they desire.